2016 ushered Generation Z into the workplace, with 2017 proclaimed to be the first year that their fresh business outlook will influence the marketplace. How will they be received? Surveyed millennials as a group refer to Gen Z workers (born between 1994-2004) as “apathetic” and “lazy” — just as older workers first dubbed Millennials “entitled”. Gen Z also is noted for its shorter attention span and for being a cohort of “technoholics.” A rapture with celebrity over a concern for world politics is also a common complaint. However, Gen Z’s outlook may align well with Millennial desires to transform how business rewards employees, aligns itself with social causes, and embraces the reality (versus the concept) of work/life balance and boundary-free workspaces. 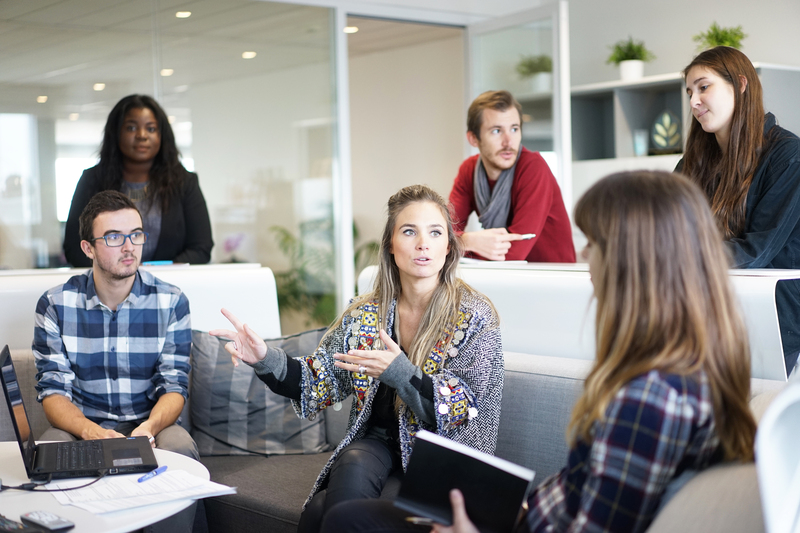 Now that 36% of Millennials have a management title or above, we’re beginning to see how tomorrow’s workplace already is changing in terms of diversity – a low-placing item on the Boomer’s list of workplace concerns when they first grabbed management reins. However, the Baby Boomers aren’t stepping out altogether yet, and they bring their own advantages, like continuity and loyalty to employer. Today, according to U.S. Labor Statistics, the overall average tenure for employees is a mere 4.6 years, with millennials saying bye-bye after only two years. I write “mere” as a Boomer who finds it shocking to think of changing employers that quickly. I served my last employer for over 20 years, with 100% of the Boomers I hired still employed there. But there is a new reality emerging. Already, in 2016, CareerBuilders interviewed more than 4,505 workers ages 18 and over, and 1,505 hiring decision makers. It discovered that “76 percent of full-time, employed workers are either actively looking for a job or open to new opportunities” while 48% of employers are having trouble filling job vacancies. Result: you will see an even greater emphasis on free-lance gigs and more attention paid to the employee experience in 2017. 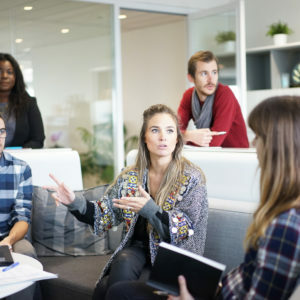 Both Millennials and the incoming Gen Z’s share a viewpoint that corporate culture and values are as important, if not more important, than salary incentives. Integrating an age-diverse employment base takes intentional focus and skill. Speaking broadly, the older worker brings stability, business experience acumen, and loyalty while the younger worker ushers in technical expertise, innovating thinking and social networking skills. We can’t underestimate what Gen Z will bring and expect: 64% of job applicants said they research a company online before applying, with 37% skipping on to the next company or job listing if they can’t easily find company information. Also noteworthy: while personal profits motivated past company owners, “doing good in the world” with at least part of the profits is highly valued by the younger workforce. Socially conscious firms will have a definite hiring advantage by virtue of strong online profiles and offline reputations. As an older worker watching the latest generation walk through the front door, I don’t worry too much about the “lazy” or “entitled” monikers. Gen Z will quickly learn what all who went before have learned, which is that smart work is valued over hard work. The playing field has changed, but it has changed in both directions, giving the freedom of companies to hire freelance labor today. This means that if loyalty to company is passé, today the younger worker, too, is only as valuable (or expendable) as their performance on their most recent project. Perhaps we all have shorter attention spans today, though for every action, there is a reaction. Whether change at the speed of light will be good for business or not, we’ll soon find out.